Not long ago, we worked on a project where the homeowners wanted to take full advantage of their ocean views and patio space. To do this, they decided to incorporate the Cover Glass product into several parts of their home. 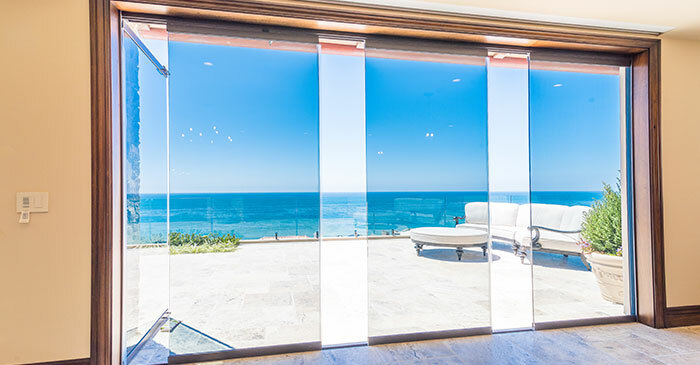 In this first picture, you can see how frameless glass removes the barrier between the indoors and outdoors. 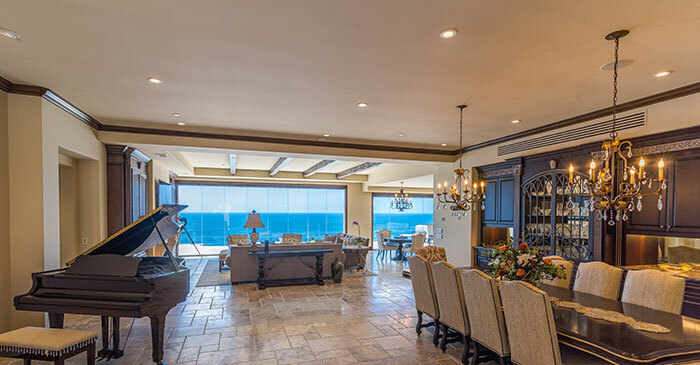 The ocean views become part of the living room. The room uses earthy and metallic tones in many elements. 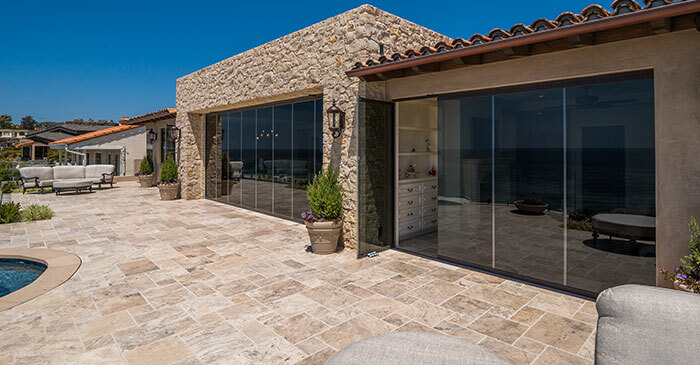 The folding glass door system ties everything together with its bronze tracks. With a folding glass system in the bedroom, the homeowners can wake up and go straight out to the ocean. To maintain privacy, they opted to extend the glass doors just as far as the foot of the bed. In this photo, you can see just how flexible the Cover Glass system is, as it’s possible to open the folding glass doors completely and stack it to the side to turn the patio into an extension of the living room. To create a closed space, the homeowners can keep a partial wall of glass in the middle. The grey color of the glass enhances the sense of a closed space. If you look at the sliding glass system from the inside, you can see how big a difference it makes to the sense of space. This is excellent for entertaining, especially since the recessed lower tracks mean there is nothing to step over. Views are just as gorgeous when the glass is closed as when it is open, thanks to the lack of frames. 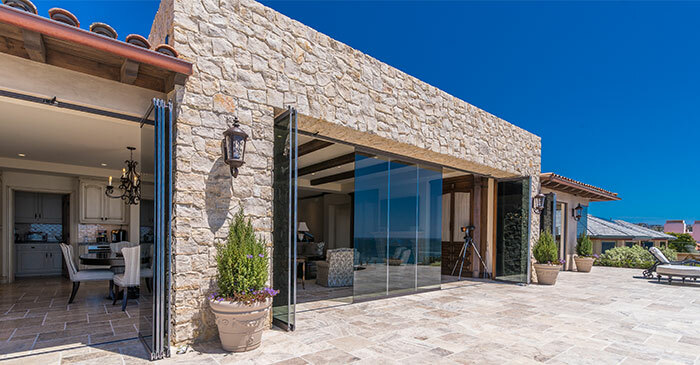 Opening just a single panel of the sliding glass system creates a convenient door. Check out more of our project for inspiration and how Cover Glass can transform your own home.